South West Voice - What do you think of council's online approach? What do you think of council’s online approach? Campbelltown City Council is seeking feedback on its online presence and is inviting residents, customers, ratepayers and other interested parties to be directly involved in the process by completing a short survey online. All eligible participants who complete the survey by 4pm on Tuesday, February 10 will have the chance to win one of five ‘10 visit swim passes’ to use at council’s leisure centres. 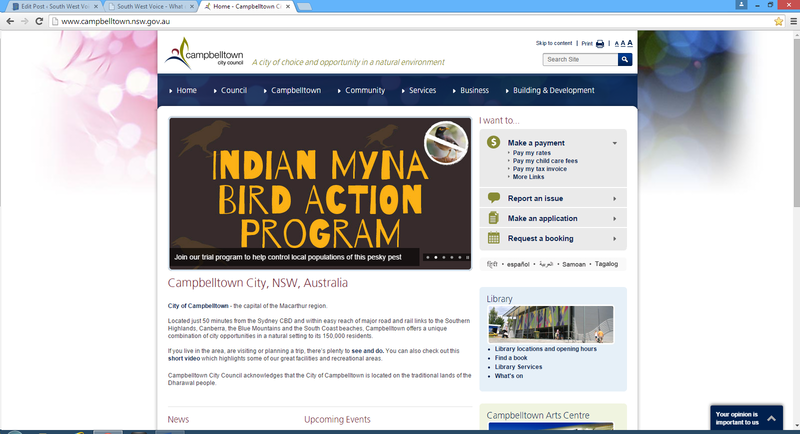 Mayor of Campbelltown, Cr Paul Lake, said the survey was an opportunity for council to learn more about how residents and customers currently use the website and other online services. 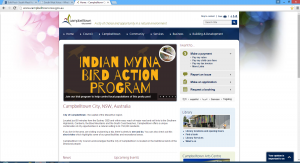 “We’re looking to improve council’s online presence and help make interactions with us easier, and the survey is a great opportunity to help shape the future of Campbelltown City Council online,” Cr Lake said. “Your opinion is important to us and council will be using the responses to learn more about what you’d like to see, do and find on Council’s website and other online services. “By sharing your thoughts on our existing website, you can assist us in identifying and exploring what’s important to website visitors and how we can improve to ensure Council continues to meet the needs of our residents and customers, both now and into the future,” Cr Lake said. The survey asks participants to rate their experience with council’s current website and aims to identify what devices people are using to access the internet, and from which locations. For those survey participants interested in contributing further to council’s online strategy project, a focus group session will be held on Thursday, February 12 and you can register your interest to be involved through the online survey.